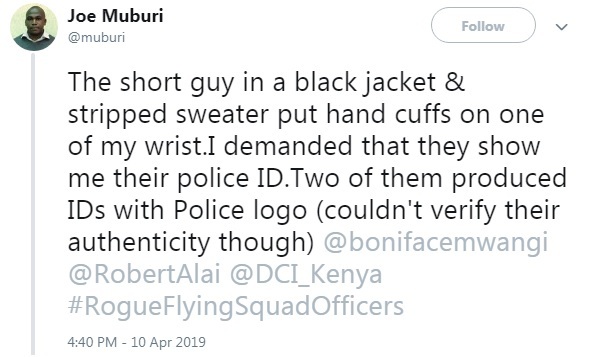 Home / Editor's Choice, Entertainment News, Featured Articles, Forum and discussion, Lifestyle / Rogue Flying Squad officers terrorizing innocent Kenyans in Nairobi CBD exposed - MATIANG’I please! 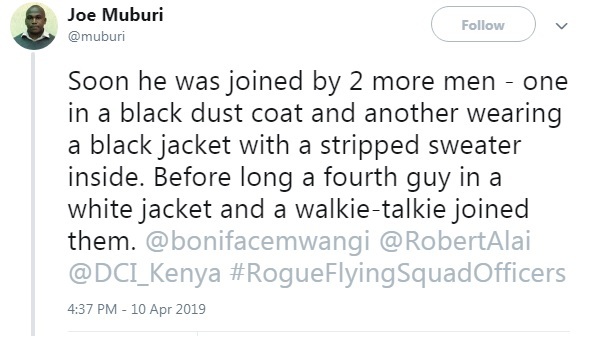 Rogue Flying Squad officers terrorizing innocent Kenyans in Nairobi CBD exposed - MATIANG’I please! 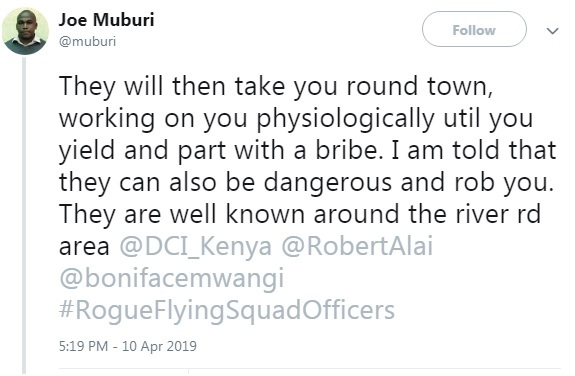 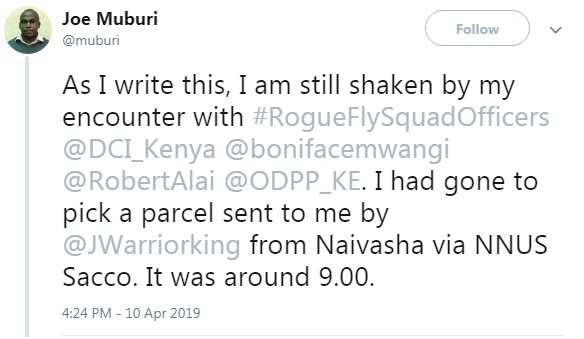 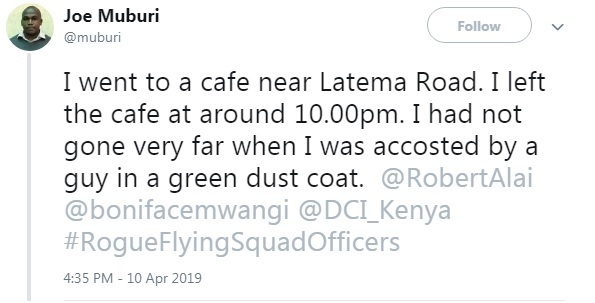 Friday, April 12, 2019 - A Nairobi man has taken to social media to narrate his scary encounter with rogue Flying Squad officers in Nairobi’s CBD. 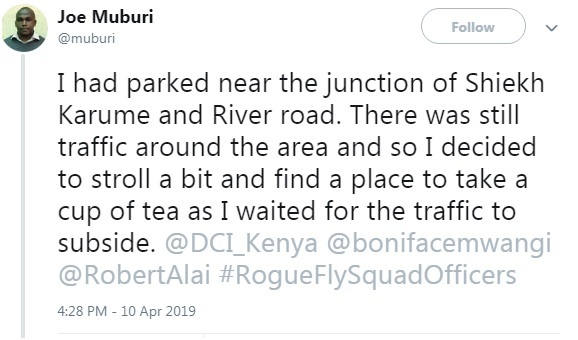 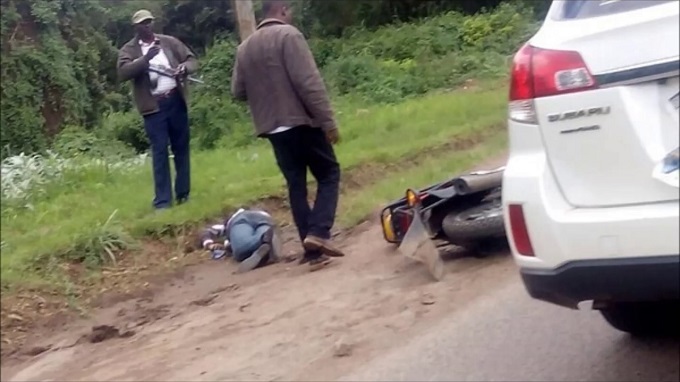 The man identified as Joe Muburi revealed that he was arrested on the night of Wednesday, April, along Latema Road where he had gone to have a cup of tea while he waited for traffic to clear. 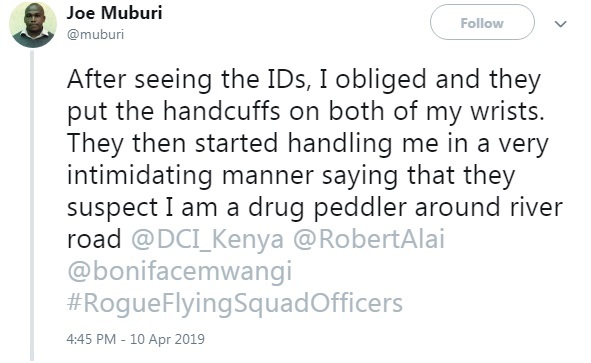 The four officers handcuffed him and when he asked to know his crime, they claimed he was wanted for peddling drugs in the city. 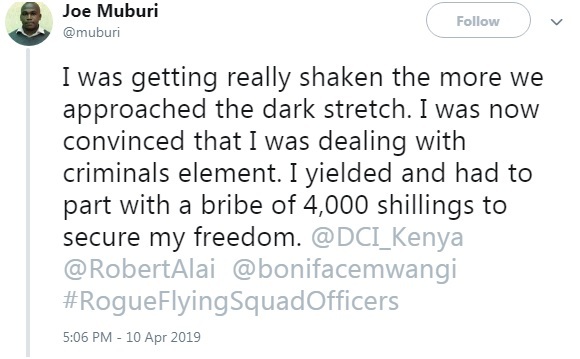 The officers then took him through dark alleys in the CBD while asking him how much money he was willing to part with to secure his freedom. 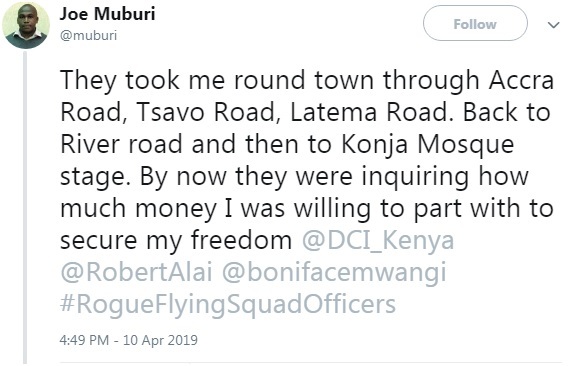 Fearing for his life, he eventually gave them Sh4,000 and they let him go. 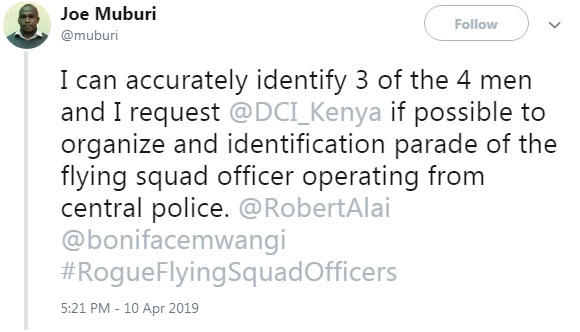 He is now calling for the Directorate of Criminal investigations (DCI) to take up the issue and warned Kenyans to be wary of these rogue officers reigning terror on innocent Kenyans. 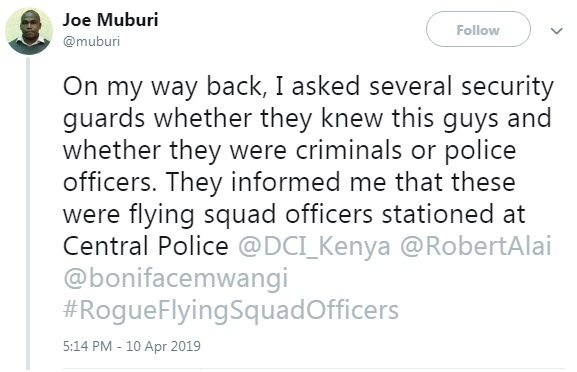 those are mungikis in uniform.